Food, Arts, Crafts, Music & More right in Riverview Business Corridor! Gallery area OPEN for Rental, it’s Time and Space for ART, Lectures, Coaching , etc. OUR venue adds the very important ~FUN Factor. So we LOVE NEW PROGRAMS, Gatherings OR PARTIES! Occasionally, Studio Space for Lease opens UP~ Call Suzanne if you have an interest. 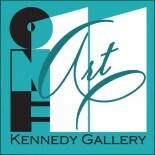 MANY types of Events happen at ONE11 while the Art surrounds & defines Your Total Experience!!! This entry was posted on April 30, 2013 by 111suzanne.